So maybe we're a little slow on the uptake. This was posted last year but just caught our attention. 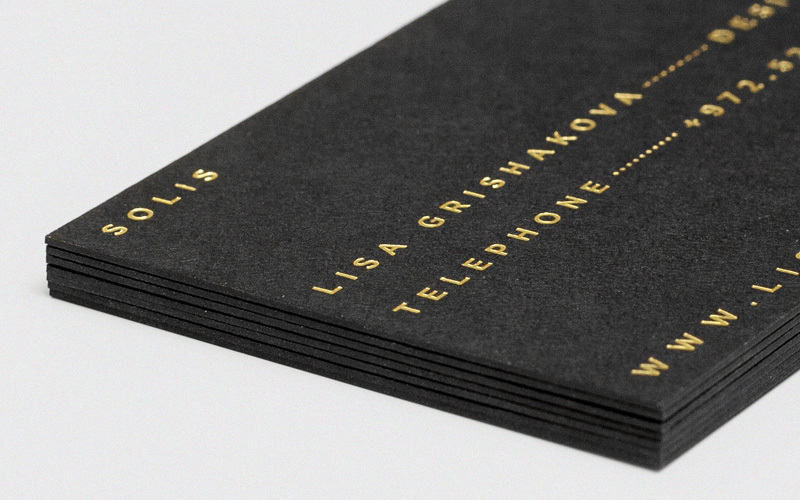 Gorgeous business cards for Israeli-based Solis printed by Generation Press on Colorplan Ebony 540gsm using embossing & foil stamping. Between the subtle embossing and the thickness of the paper, these cards make an impression before you even look at them. And if you haven't already, check out the new Colorplan website for a one-of-a-kind paper experience.